Intermittent fasting has become a quickly accelerating wellness trend. As with any fad, this has led to a lot of misinformation and unhealthy applications of the original concept in daily life. In this week’s episode, we get to the bottom of how fasting and meal spacing can help your digestive system recover and repair. And a lot of it comes down to how these strategies allow the migrating motor complex to better do its job. 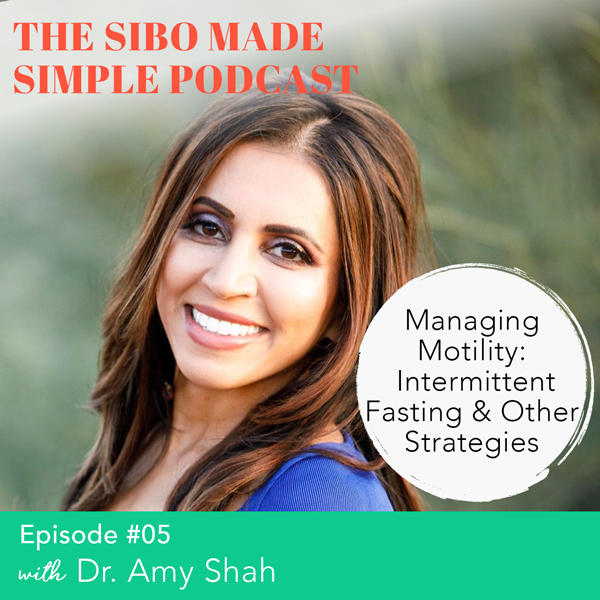 To help us understand the strategies for making our MMC—the intestinal street sweeper—work smoothly, is double board-certified doctor and nutrition expert Dr. Amy Shah. Dr. Shah utilizes her specialized skill-set in Eastern and Western medicines to focus on hormones, allergies and gut health. In today’s conversation, we’ll talk about how we eat (not just what we eat) and how these tactics can help the body heal from the inside out.